It usually takes a few hours to pop out a litter. 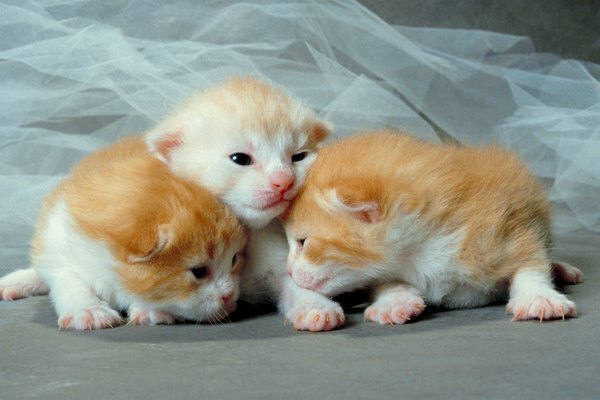 Although kittens in the same litter can technically be born on separate days, that isn't typical. Cats, like humans, go into labor before delivering. Labor time can vary from minutes to hours. Once the delivery starts it's mostly a simple matter of timing, with the occasional instance of multiday births. Cats go into labor before giving birth, and a little bit of time can pass before the real action starts. Your cat is likely to spend most of her time looking around for a good birthing spot, licking her abdomen and vaginal opening, or both. Don't interrupt her -- she has a lot on her mind right now. Labor can be quick or take up to 12 hours, so you just have to be patient. Once those kittens start popping out, they should arrive with relative predictability. There are likely to be four to six kittens, and they come one at a time roughly every 30 to 40 minutes. This part can take up to six hours or so. But be warned -- sometimes, if the mother is particularly stressed out about the whole thing, she can stop the works and give it another try the next day. Although a stressed cat can stop the birthing process and resume later, this interruption generally isn't recommended. Between everything she has to do to take care of the already-born kittens and herself, putting off delivery can lead to unnecessary complications. If the birthing is taking more than seven hours, consult a veterinarian. He might recommend bringing her in so he can help her deliver. Or, depending on his assessment of her symptoms, he could recommend waiting until the next day. This analysis can be made only on a case-by-case basis, and only by a professional.. When all is said and done, yes: A cat can give birth to kittens of the same litter on two days. Usually this is simply because of timing, because a delivery that starts as late as 6 p.m. could go on past midnight. Other times, your vet might recommend allowing her to stop the birthing process until the next day. In this case the distinction between birthdays is a little more dramatic -- and it gives you a great excuse to hold two birthday parties.